It often surprises people to find out that there's a historical attraction in Agra that is not Mughal or Hindu. This elegant Protestant Church of clean lines was built in 1828 in neo-Gothic style. Inside are commemorations to British soldiers who died while serving in India. The church is usually not open to the public but can be visited on Sunday mornings during mass. It is one of the oldest churches in the city. Permission is required to enter the church during off hours. The church is usually closed, but Sunday Mass is at 9am. 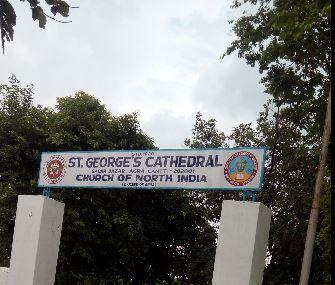 People normally club together Jama Masjid and Agra Fort while planning their visit to St. George's Cathedral. People also prefer to start their day with St. George's Cathedral.